Steam & Dry Carpet & Rug Cleaning Services Wavertree L15 | Quality Property Care Ltd. Hiring a professional carpet and rug cleaning company, and using its services routinely is a very good idea, especially if you or somebody in your family suffers from dust or pollen allergies or has breathing problems. The quantities of dust mites, dirt, dust and germs in our carpets and rugs are actually quite surprising, so don’t wait to hire Quality Property Care Ltd., which offers a top quality rug and carpet cleaning service in Wavertree L15 and the area. 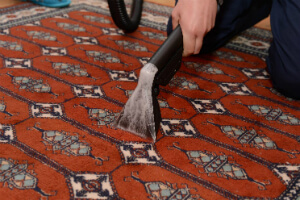 The rug and carpet cleaning company can also provide: blinds cleaning, curtain cleaning, drapery cleaning, as well as mattress cleaning and bed bug mattress treatment, which will help remove the dust mites, allergens and kill off all bacteria. The business offers residential and commercial carpet and rug cleaning at a competitive price tag. To get a totally free price offer in less than 2 hours, just call the expert customer care support or use the on-line form. Meet Quality Property Care Ltd. - the supreme professional rug cleaning company with 10 years of experience in the industry and with various solutions for carpet spot and stain removal. Our reliable carpet cleaning company in Wavertree L15 has implemented the general standards in rug and carpet hygiene routine maintenance. However, in addition to these, we usually tend to progress and advance. Call us to make a reservation for our carpet cleaning service in Wavertree L15 right now! The company Quality Property Care Ltd. also can offer you professional curtain cleaning, mattress cleaning, bed bug mattress treatment,, drapery cleaning and blinds cleaning. Actually, if you book a combined cleaning service, such as deep carpet cleaning plus mattress cleaning, you will receive a big discount from the selling price of the service. So, go ahead and ask for that free quote or book your combined cleaning service right now! Don’t lose hope even if your favorite rug has experienced from what seems like a irreversible stain. The cleaners can successfully deal with a huge range of common and not-so-common stains, including: wine, oily stains, paint, , rust, vomit, blood, tea, coffee, moth damage and lots of more. 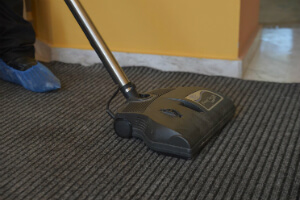 We’ve made an effort to be able to correctly clean a huge range of rug and carpet kinds in order to accommodate the cleaning needs of all potential customers. Not only that but we’ve also been capable to widen our catalog of stain expertise letting us to further guarantee your full satisfaction. In terms of fibre types for carpets we can clean synthetic, natural and organic fibers like wool, cotton, linen,, silk, viscose, suede, acrylic, flush, chenille and quite more. Book any time by dialling 0151 673 0008 or submitting a booking form on our web site. Get in touch with us with no hidden fees and any commitments.